NO TRICK, ONLY GREAT PUMPKIN TREATS! 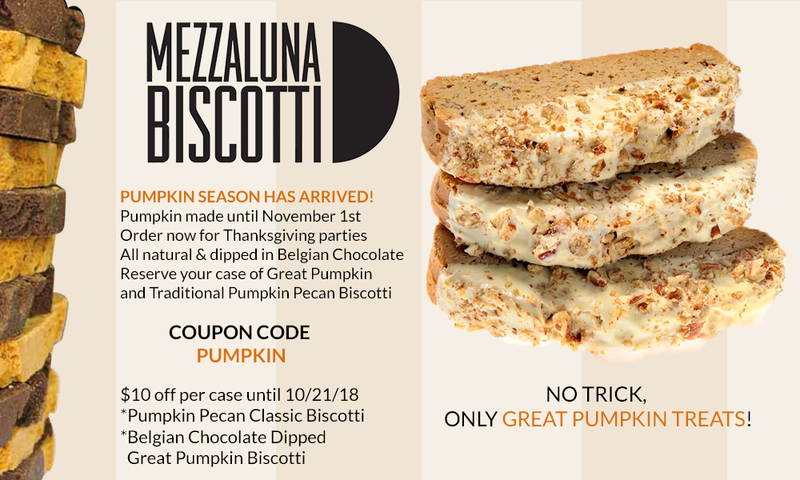 Mezzaluna Pumpkin Biscotti is made until just after halloween, on November 1st. 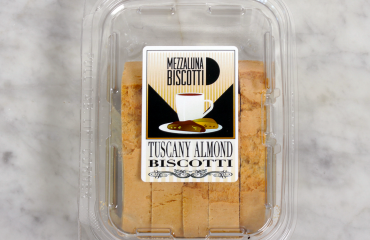 Mezzaluna Pumpkin Biscotti are all natural & dipped in Belgian Chocolate. 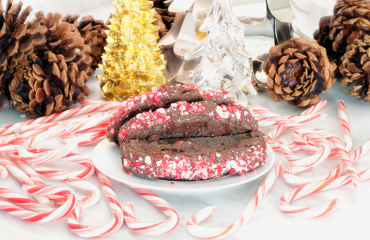 Reserve your case of Great Pumpkin and Traditional Pumpkin Pecan Biscotti! Order now for Thanksgiving parties.